Know the minutiae of eligibility for IIT JEE 2014! 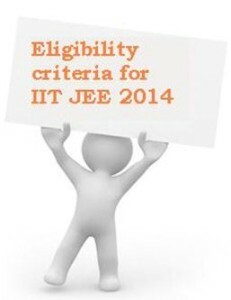 There was a buzz that IIT JEE 2014 eligibility criteria might see some changes. The Top 20 percentile norm, which states that only students in top 20 percentile of their respective boards will be able to sit for JEE Advanced, was said to be unfair to students of many states. Students from some boards are believed to have an edge over students from other boards because of this imposition. Hence, it was said that the eligibility for IIT JEE 2014 might have a common cut-off marks of 75 per cent in Class XII boards. The Joint Admission Board (JAB) of the IITs has ruled against introducing the changes in the exam for IIT JEE 2014. 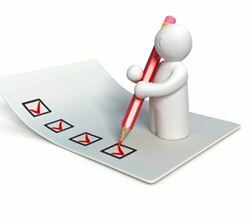 It has said that it will need more data to see if any changes are really needed in the present scheme. Eligibility for IIT includes age limit as well as qualification requirements. Candidates who are even a day older than 25 years on October 1, 2014 will not be eligible to appear for IIT JEE 2014. It means only students born on or October 01, 1989 (as recorded on Class 10 certificate) will be eligible for the exam. A relaxation of 5 years will be given to the candidates of Scheduled Caste (SC), Scheduled Tribe (ST) and Persons with Disabilities (PwD) categories. Hence, SC, ST and PwD candidates born on or after October 01, 1984 will be able to sit for IIT JEE 2014. Also, IIT JEE 2014 eligibility criteria specify that candidates can only take the exam if they have appeared for their Class XII board exams in 2013 or are going to appear for it in 2014 with at least five subjects. Students whose results will be declared after June 2014 will not be eligible for JEE 2014. Students with four subjects in Class 12 will not be allowed to sit for the exam. And of course, as you already know, only Top 1,50,000 holders in JEE Main 2014 will be able to sit for IIT JEE 2014. You will get three shots to crack JEE Main and two for JEE Advanced. So, make the most of it. « Top 20 Engineering Colleges in India include seven IITs!